36 inch x 30.75 inch Stainless Steel Backsplash with Stainless Steel Shelf The Ancona brand is a quality/price benchmark for Italian designed bathroom and kitchen products, bringing you the benefits of styling, manufacturing and performance excellence as cost-effectively as possible.Add an elegant and useful restaurant flare to your kitchen with the Ancona Stainless Steel backsplash with Shelf. The smooth, durable finish provides easy clean-up from cooking splatter and blends well with any style expression. The built-in shelf with ledge provides easily accessible storage for your spices and garnishes and the hanging bar allows you to keep your favorite cooking utensils at your fingertips. This backsplash is available in 30 and 36 wide; and is very easy to install! 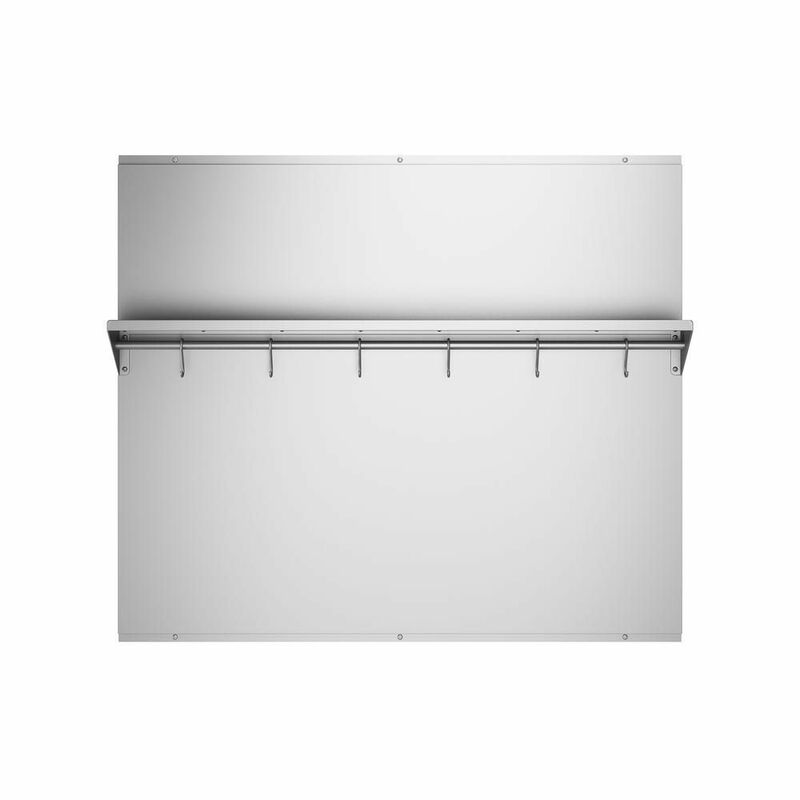 36 inch x 30.75 inch Stainless Steel Backsplash with Stainless Steel Shelf is rated 4.4 out of 5 by 15. Rated 4 out of 5 by TWK575 from EZ install looks great A simple install and looks fantastic, easy to keep clean. Rated 5 out of 5 by Remodelers from We love the spice shelf. Have gotten many compliments about the sleek look. We love the spice shelf. Have gotten many compliments about the sleek look. Rated 5 out of 5 by Carey from Very pleased with the Ancona stainless steel backsplash. It was... Very pleased with the Ancona stainless steel backsplash. It was easy to install and looks great. Exceptional delivery I received my order within 3 days of placing the order. Rated 5 out of 5 by Eric from This Backsplash is definitely what I required. It’s an excellent... This Backsplash is definitely what I required. It’s an excellent addition to my kitchen stove area. It was also easy to install. Rated 5 out of 5 by Maggie from This product was perfect for our new stove. It was... This product was perfect for our new stove. It was easy to assemble and install. Looks great. Rated 1 out of 5 by Jeff from Do NOT order this. The product is very thin and... Do NOT order this. The product is very thin and has ripples / waves between the supports on the back. It’s not flat. The first one I ordered anso had two dents innit but I had to put it up to pass inspection. I ordered a second one to replace it with and it has the same ripples. I’m returning them.